Engineers must develop a systems approach to managing carbon impact across the UK’s interdependent energy, transport, waste and water networks. The regional briefing note for the West Midlands calls on some of the Observatory’s work on the regional carbon gap (pdf, 334kb) to highlight the scale of the challenge faced in the region. 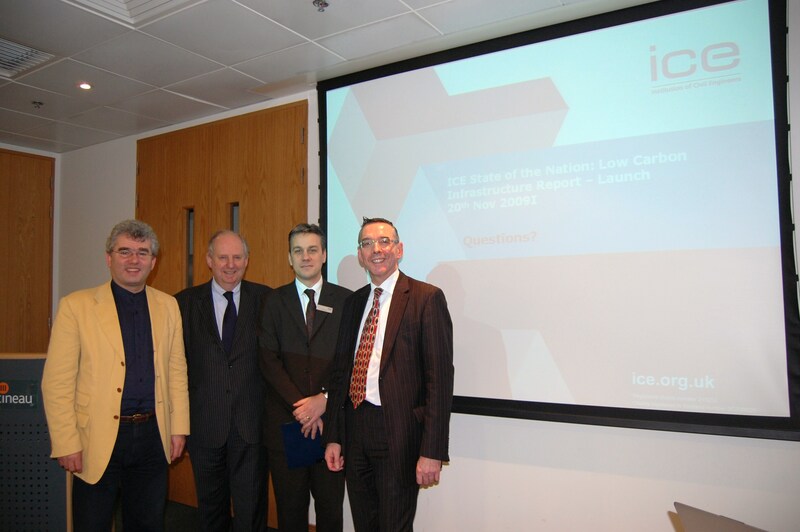 ICE in the West Midlands has a strong focus on the opportunities that the transport sector has for reducing emissions. The regional briefing stresses the need for the West Midlands to establish itself as a low carbon transport capital. 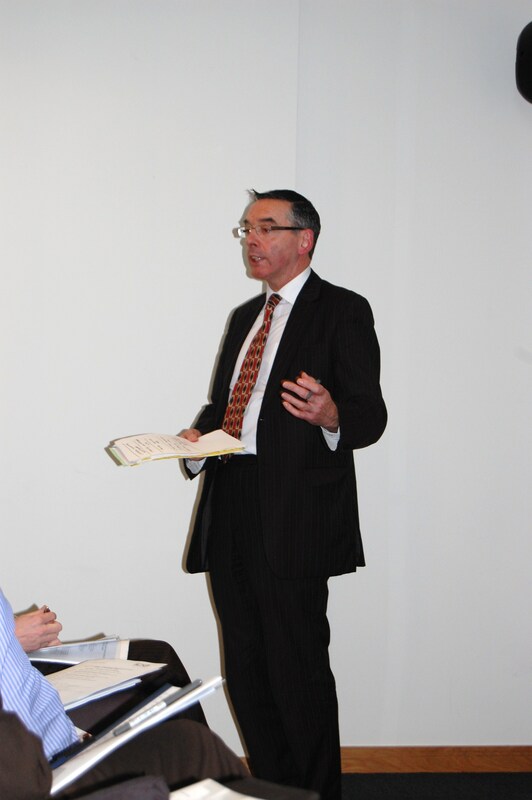 The West Midlands event was chaired by Michael Thompson, the West Midlands regional chair of ICE. The keynote presentations came from Colin Clinton, a director at Ove Arup & Co and a former President of ICE and Rt Hon David Kidney MP, who is Parliamentary Under Secretary at the Department for Energy and Climate Change. Both talked about the need for action now and the key role that design, engineering and construction can play in reducing emissions and helping tackle the threat of dangerous climate change. One of the issues standing out for the West Midlands is the impact of transport and the event also saw presentations on two practical examples of schemes that are already in place aiming to help reduce emissions. The first project, presented by Liz Somner of ARUP, was the CABLED project which will showcase electric cars across Birmingham and Coventry. The project will make ultra low carbon vehicles available to a wide cross section of real world users and collect data on their everyday use. This is part of a UK wide trial in which the West Midlands plays a major role. The second project highlighted was the Highways Agency Active Traffic Management scheme on the M42 and now M6 motorways in the region. Paul Unwin from the Highways Agency explained how the scheme works and the advantages this kind of scheme has over traditional road widening schemes. The debate from the floor focused the fact that while such schemes are important there is still a greater need for significant behaviour change to reduce the amount of travelling required. As at other events over the last year the consensus was that this behavioural change would be best driven by stressing the savings that could be made and David Kidney MP talked about a forthcoming government scheme, CRC Energy Efficiency scheme, that will aim to compel large businesses to make carbon savings and at the same time save £1billion between them by 2020. Joan Ruddock MP introduces the CRC Energy Efficiency scheme.